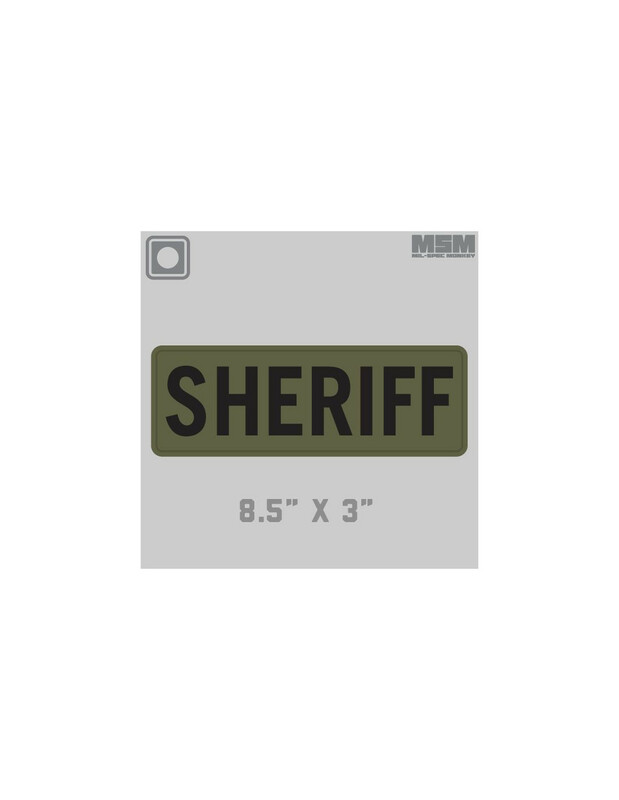 Simple and Bold SHERIFF patch made of PVC, offering great durability to handle hard use LEO requirements. 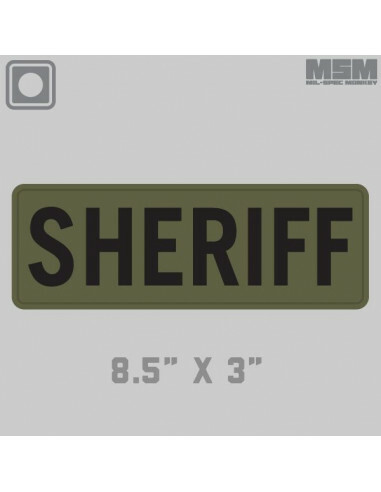 8.5" x 3" size is a larger size typicaly reserved for being placed on tactical vests. Hook sewn on the back.